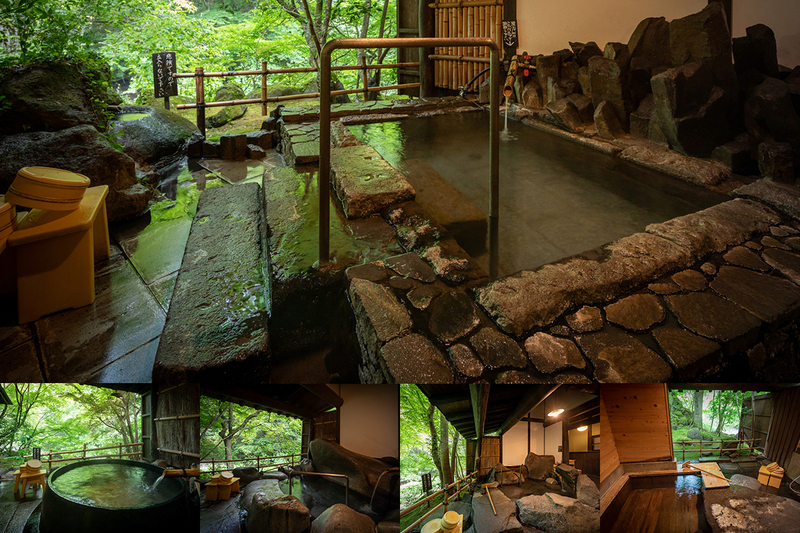 Amagase Onsen, Oita Prefecture – 1 hour and 30 mins from Fukuoka by car. 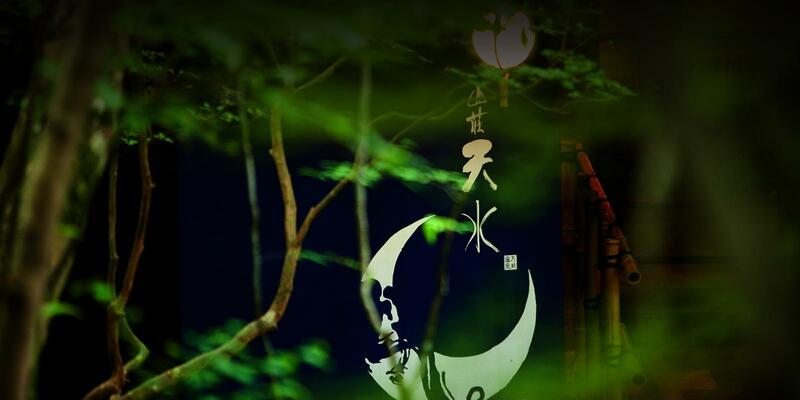 If you go a little into the mountains from there you will find the Japanese inn Sanso Tensui. The wood construction Japanese-style architecture creates an atmosphere that lets you experience the authentic charm of Japan. 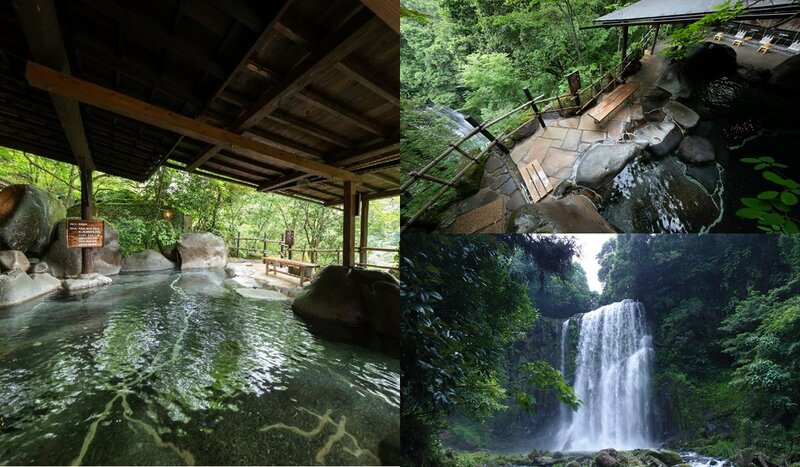 Sanso Tensui features Sakura Falls, a famous spot of Amagase, the main building that emphasizes the location along the flow of the Goraku River, open-air baths, private baths, and Japanese-style rooms. In 2017, special suites with spacious terrace, open-air bath, and indoor bath were completed. Please enjoy the hot springs and food in the private space without being bothered by anyone else to your heart’s content. Various trees are planted on the vast site along the mountain stream. Walking among the trees that almost cover the building, you pass the approach from the parking lot to the entrance. At the front desk, the large rocks that have stood there for many years welcome you as sculptures that symbolize the inn. 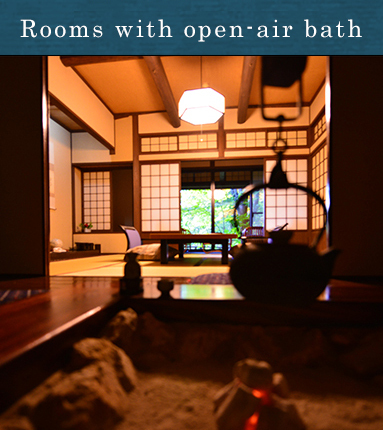 There are three types of rooms: general Japanese-style rooms, Japanese-style rooms with an open-air bath, and special suites with two rooms, a terrace, an indoor bath, and an open-air bath. 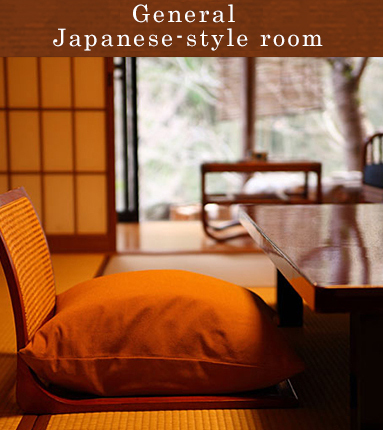 In this relaxing Japanese-style space, we provide yukata, Japanese clogs, and towels and amenities for the hot springs. Please select the room type of your choice when making your reservation. Creative kaiseki dishes offer the delicious ingredients of the four seasons. It is our pleasure to offer this genuine kaiseki cuisine, prepared by a chef who studied for many years at a long-established Japanese restaurant in Kyoto. We insist that our cuisine is completely handmade. 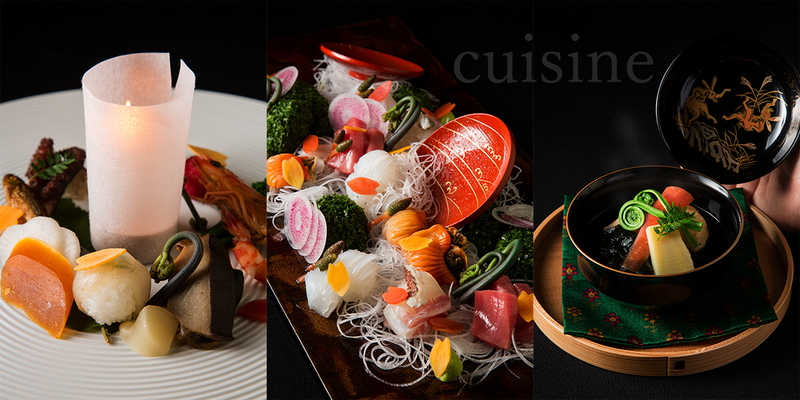 Please enjoy each and every one of our kaiseki cuisine dishes. There are two open-air baths (men and women), two indoor baths (men and women) and five family baths (private baths) at the inn. Each bath faces a mountain stream and you can see the river side of the Goraku River, and the brilliant and beautiful Sakura Falls. Please relax and enjoy your hot spring as you sense the change of the seasons in this location that immerses you in nature. Guests can use the five private baths free of charge. All the baths offer a spacious feeling thanks to the semi-open construction facing a stream.